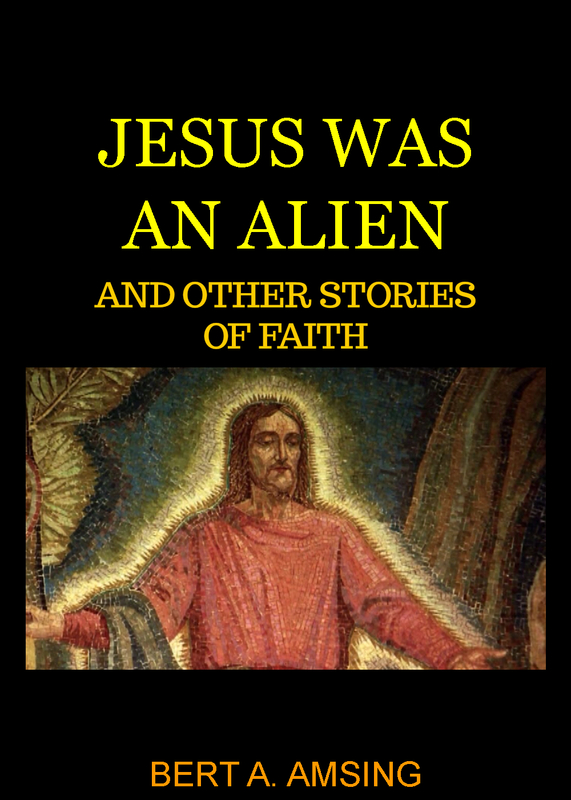 Jesus was an Alien and Other Stories of Faith is a collection of my favorite stories. For some of my readers, these stories of faith may be their first introduction to the crazy, wonderful world of people dedicated to loving and obeying God. You may start with the idea that Jesus was an Alien but, hopefully, you will end up with a deeper appreciation for the God described to us in the Bible. All of it may be hard to believe but why should that surprise you. If the basic problem in life is a lack of trust in God (and therefore a lack of love and obedience), why should we wonder that God expects faith as the one ingredient needed for a new relationship with him. Even my wife expects belief and trust from me in our relationship especially here in an evil and dangerous world. That’s how love works. It is rooted in faith and supported by hope. As in any relationship, faith will unlock the door and love will open it. For those of you who have already fallen in love with God, it is my prayer that your imagination will be sparked and your love for the Lord enhanced. We are the main characters in our own stories of faith and what we write in the annals of time will last for eternity. I have also included a preview of The Temptations of the Cross (A Novel) for your enjoyment. This is the story of the cross and what it means in the life of one man, the Rabbi Gamaliel, mentor and teacher of the Apostle Paul. We don’t know, historically, if the Rabbi Gamaliel ever became a Christian but, in this book, his life and his response to the cross becomes a mirror for each one of us as we are also faced with the temptations of the cross, to accept or reject that work of God on our behalf. The Desert Warrior Series is a work in progress. The Desert Warrior (Finding Strength in Difficult Times), the main book of the series, is a description of what a new relationship with God looks like and the mystery and power of making a complete identification with Christ. This “all or nothing” approach may seem extreme but our God is a romantic and He actually loves us and wants a wholehearted love in return. Christianity is not about the American Dream but about the Abundant Life which is most often found in the Desert not the Promised Land. In the Tears of the Desert Warrior (The Absurdity of an Abnormal Existence), we go to a meeting in the Desert with God. Adam and Eve have been kicked out of the garden. Pain and suffering and death have come into the world. What goes on here? We have questions to ask of Him. Why did He allow this to happen? What is His role in all of this mess? And what does He plan to do about it? Hard questions, no doubt, but be warned. He has some hard questions of His own. Our journey begins with the Secular Problem of Evil and ends with the Religious Problem of Evil. We will explore the meaning of the Tower of Babel and encounter Truth in Flip Flops. Here we discover the nature of life on planet earth as a matrix within a paradox. Promised Land and Desert. Good and Bad. But why? We need to get a handle on things, to make sense of it all. It´s a question of beginning at the beginning. In the Whispers of the Desert Warrior (Evidences of the God who is There), we look at some of the evidence for the existence of God, the whispers of his presence in creation and, especially, in man himself. After all, if God is there, it changes everything. The whole fabric of reality changes and all of our assumptions about life, ourselves and existence, itself, will be overturned. As it should be. In God of the Desert Warrior (Evil and the Goodness of God) we study the nature of God and the issue of evil and what God intends to do about it. We look at the need for revelation and faith in the battle for the human soul. 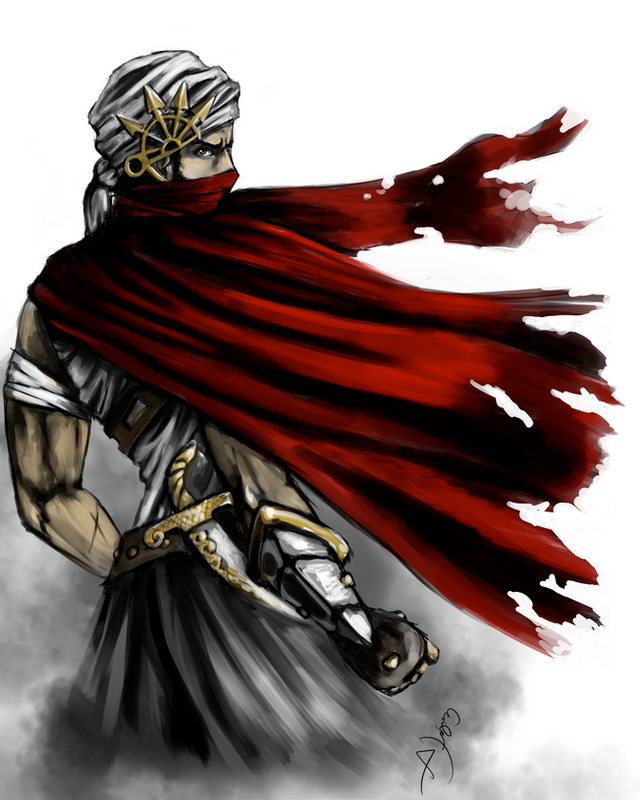 And believe me, there is a battle going on and warriors are needed – desert warriors, armed for battle. We have a crucial role to play. Way of the Desert Warrior (How the Desert can give you Courage) describes the life of faith and power in the Holy Spirit. What does it mean to live the abundant life? What if I made the pleasure and anointing of God my life’s one ambition? What would happen? Heart of the Desert Warrior (How Reality can set you Free) goes into more depth on the inner workings of the cross and the Holy Spirit in the life and heart of the believer. The heart is not merely the emotions but rather the integrated workings of the mind, the will and the emotions as well as the deeper desires, dispositions and attitudes that make up the foundation stones of the inner man and woman. That is the level at which true transformation happens in the Christian life and where our identification with Christ must be rooted. Finally, Life of the Desert Warrior (How a Conversation can Change your Life) will address the key issue of an ongoing conversation with God as the key to the spiritual life. Does prayer really change anything? If prayer is the barometer of the Christian life (and it is), why do I pray so little and why is it so difficult? Of course, if it is that important, why are we surprised that the flesh, the world and the Devil oppose it. We are a world (and a life) at war, after all. Although it is a work of non-fiction, this series will feature many stories of faith to bring the truths home in a more unique way. Please stay in touch with us as we develop these ministry tools over the next few years. Finally, a word about Desert Warrior Ministries. Co-founded with my wife, Verónica, it is more a prayer and a direction than a fully developed ministry. We believe that God has called us to a ministry of encouragement, prayer and service in Spanish and English through our writing/speaking and drawing/painting. Desert Warrior Ministries teaches and encourages relational evangelism, distinctive apologetics and radical discipleship in the context of a lifestyle of repentance, grace and spiritual unity. Our goal is to promote evangelical Christianity through narrative theology, relationship marketing and social networking by creating and training an online community of desert warriors dedicated to pleasing God above all, in holiness and ministry to others in the name of Christ. We covet your prayers for us as we seek to follow God. 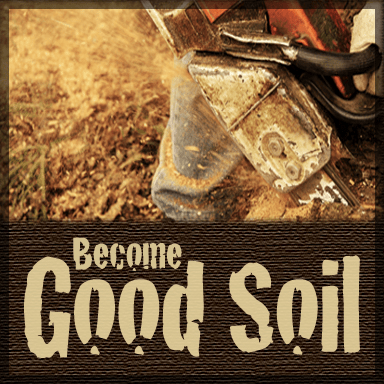 Visit our website at www.desertwarrior.net for more information. I would like to thank all those who helped make this initial book project possible. My wife, Veronica, and my children, Melanie and Michelle deserve special mention as they put up with my furious “scribblings” at all times of the day and even in the middle of, otherwise normal, family activities. My wife was (and continues to be) a patient and long-suffering participant in many a conversation as we tried to work out the message and vision that God has for us. Thank you, mi amor. It is a pleasure sharing our life and ministry together as a couple and as a family. We would love to hear from you. Please feel free to write to us and tell us of your own desert experiences of faith and doubt, pleasure and pain, love and difficulty as you pursue God with all your might. We have a saying in our family. We would rather be in the Desert with God than in the Promised Land without Him. We hope you feel the same.